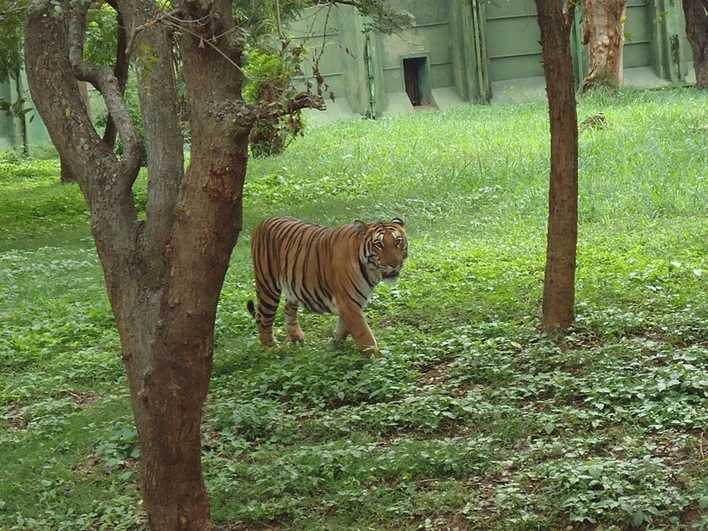 Shri Chamarajendra Zoological Gardens or more commonly known as Mysore Zoo is one of the oldest zoos in the world. Established in the year 1892 by the Royals of the Mysore, this Zoological Gardens was formed from a part of Maharaja Chamaraja Wodeyar’s summer palace area. Located within an area of 157 acre (64 hectares), Mysore Zoo is the second most visited place in Mysore after Mysore Palace. It is currently an abode to 1,450 specimen of animals and birds consisting 168 species belonging to more than 25 countries. Timings: All days except Tuesday between 8.30 AM to 5.30 PM. Camera Fee: Still Camera Free – INR 20. Video Camera – INR. 150. Battery Operated Vehicle: Rs 150 per adult, Rs 75 for senior citizens, Rs 50 for children 5-12 years. This century old Shri Chamarajendra Zoological Gardens has a very interesting history to be proud of. The then Maharaja Chamarajendra was a visionary and wanted to design a wee laid city. he envisioned the city with full of gardens, great landscape and owning a zoo of its own. Initially designed as a private zoo for the Royals which was named as Khas-Bangale and even Thamash Bangle. Entry of general public started in 1920. Mr. G.H. Krumbeigal, a German horticulturist, and landscaper was appointed to set up the Zoological gardens, which was originally 10 acres in size. The zoo was subsequently expanded to 45 acres in size over the next 10 years and the work of expansion and landscaping was given to Australian national called Mr. Huge. The administration of the zoo, post-independence was handed over by the then King to the Department of Parks and Gardens run by the then Mysore State Government. Karanji Lake which covers an area of 77.02 acres is also a part of the zoo. This lake was taken over by the zoo in the year 1976. Meticulous planning is the special feature of Shri Chamarajendra Zoological Gardens, all the species of animals live in their natural habitat without any cages or barricades. The Zoological Gardens is designed on modern lines and enclosures for animals are provided using moats. Maharaja Chamarajendra personally selected the animals from various countries of Europe and Africa. He brought animals like Primates, Antelopes, Chimpanzee, Giraffes, Orangutans, Gorillas and Bears. He also brought rare exhibits like American Bison, Polar Bear, Californian Sea Horse, Polar Bear, White Elephant, Penguin and Kangaroo and successfully exhibited them. The Zoological Gardens is proud to have a collecting of big cats like Cheetah, Jaguar, Tiger, Lion and small cats like Leopard Cat, Jungle Cat, Common Palm Civet and Small Indian Civet. It is the only zoo in India to exhibit a Gorilla. 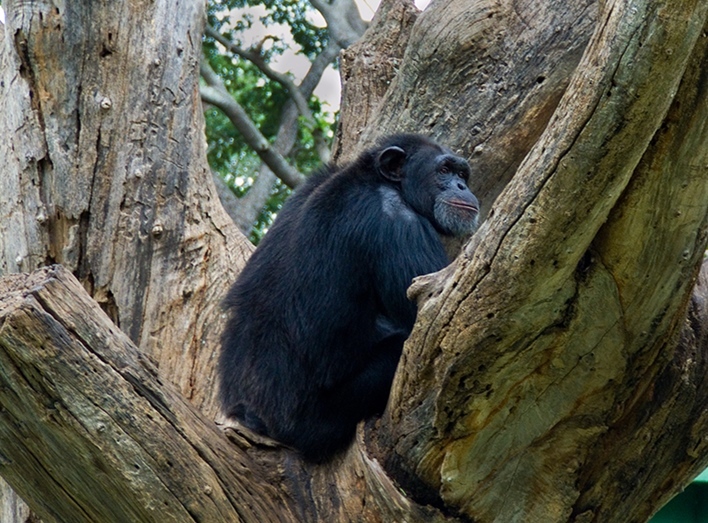 Other Primates include Baboon, Capuchin Monkey, and Marmoset, a variety of Lemur, Chimpanzee and common Indian Langur. The Zoological Garden is also abode to large mammals like Elephants belonging to both Asiatic and African region, Black and White African Rhino, Gaur and Hippopotamus. The Zoological Gardens is also proud to own flightless birds like Emu, Rhea, Ostrich, and Cassowary. There is also a huge collection of Terrestrial birds, aquatic birds, deers, antelopes, ducks, and reptiles. A massive aviary is built in the Shri Chamarajendra Zoological Gardens. A bridge is made right in the center of the aviary, to enable visitors to walk through the bridge and watch the birds closely. Painted Stork, Pelican, Blue and White Peacocks, colorful Flamingoes, Cranes, etc. can be seen in this aviary very easily. Apart from exhibiting animals the Zoological Gardens also has an aquarium and a museum. The zoo museum exhibits stuffed animals. The Zoological Gardens also has a library and a veterinary hospital. The zoo regularly organizes essay and painting competitions to create love and awareness towards amongst children. The zoo is into wildlife conservation programs like captive breeding for endangered species. To run these programs successfully in requires financial support on a regular basis. In order to fund the same, the Zoological Gardens has launched animal adoption program wherein general public can adopt an animal for a complete year. Under this program, one can contribute towards the feeding expenditures towards the animal of their choice. The adopter will have a few privileges like publicity in leading newspapers, complimentary entry to the zoo and a Certificate of Adoption. This innovative idea is launched to inspire people and generate sympathy towards animals and to promote wildlife conservation.